I’m a huge fan of making a living off of doing what I love. If this sounds obvious, or cliché, consider that so many writers don’t believe they can earn enough to have a career in writing: It’s a “hobby,” or a “passion” rather than a job. This makes me crazy. 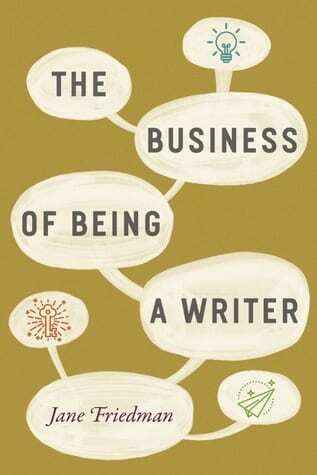 I’m not the only one: writer and editor Jane Friedman also believes writing can be a career, and her latest book, The Business of Being a Writer, lays out just what components go into writing as a business. It should resonate with everyone out there who writes or would like to write for a living. It’s my hope that teachers of writing, especially at the MFA level, will also take up this refrain. I went to a college that worked really hard to help you to understand the value of networking, but I don’t think, when I graduated, that I understood exactly what that meant. In the summer of 1996, this was underscored to great effect when I got accepted to the prestigious Radcliffe Publishing Course, now moved to Columbia University. At Radcliffe, it was easy to be dazzled: Morgan Entrekin. Steve Florio. The editor who had acquired Ethan Hawke’s first foray into fiction–these were just a few people who came to speak to us about their work. Mornings and afternoons were lectures and exercises. And every afternoon, there was sherry hour, where the guest faculty would be on hand to talk in a casual setting to us about–well, I don’t know what. I never actually spoke with any of them outside of class. But I do know that when I graduated from RPC, after six weeks of classes and getting lost on the Harvard campus, I was pretty sure that I would land a job, no problem. I had three job offers, one of which came from someone who was an RPC graduate herself, and took that one. Later, when I was looking for another job, I turned to RPC. And nothing came of it. Years later, when I was launching my book, I turned to RPC again. And nothing came of that, either. Wanna know why? Because I didn’t invest in any of those relationships. I learned a lot about publishing, some of which I still use today, and I met a lot of really great people, and I utterly failed to leverage any relationships with people who were in decision-making positions. I really only made a few close friends while I was at Radcliffe. One of those girls became my first New York roommate; the other was a pretty steady friend throughout my life in New York. Later, when I had a bona fide freelance career of my own and a lot more experience with, uh, basic people skills, I applied to be a member of a critique group. One of them I stuck with for a couple of months, the other I was part of for a whole few years, I think. And then at some point I decided to go for my master of fine arts, because, despite my relative success with marketing copy and personal essays and short stories, the big Kahuna of my writing career was still escaping me: I had drafted several novels, had them critiqued, sent them to agents, with no success: I had a plot problem. An MFA would fix it. But I did not do this in a vacuum, like I went through the Radcliffe course. (I have just remembered I had a boyfriend that summer, too, which is…like, dumb. I was not on campus a lot. I missed out on a lot!) Because our MFA had residencies, we were all basically breathing each other’s work and stories and stuff for ten days, twice a year. So when I went to revise the book, I leaned on members of my co-hort. When I agonized over plot issues, I turned to my co-hort. When I could not see the way out of a synopsis, I turned to my co-hort. When I pitched the thing, I leaned on faculty members I had met, both to introduce me to their agents and to take a first look at the thing as agents. And I also kept in touch with faculty members I just liked, as people, even if their work wasn’t remotely related to the work I was pitching. Fast forward, okay? The book sold, everyone who had had a hand in it championed it, it went into its fourth printing four months after its release date. Some college professors (one of whom I met via my MFA) taught it in classes. At my first bookstore event, at Women and Children First, in Chicago, lots of people showed up, including some members of that long-ago critique group. And some new friends I’d met recently on the Internet. And the girl who used to live upstairs from us, ten long years before my book ever was a possibility. While I was in Chicago, I also did a library event. It had been set up by a woman I met at my brother’s wedding. And later that month, I did a few more events in Michigan, which had been set up by a woman I met on Twitter, when we were both working on marketing projects that involved running. I also want to point out, briefly, that I got into literary magazine editing because of an alumna of my MFA program. And I run a writer’s retreat with some members of my MFA co-hort. And that members of the disaster-relief agency I volunteer for support my writing and my on-the-side watercolor work. And that I’m part of a really supportive online group of marketing and copy experts who help each other through everything, including harrowing book launches and the day my dog was diagnosed with an auto-immune disease and then cancer. That group not only supports my creative work, they also hire me. I’m only a part of that group because one of the women in it read an essay of mine that she liked, and reached out. Someone I published a few years ago at Tahoma Literary Review invited me to be on a panel last year, and on this panel with me was a woman who now runs a writing center. Our literary magazine will now partake in the writing conference the center sponsors. And earlier this year, when I was doing some research on a topic I was fairly new to, I reached out to a writer I had published and spoken to extensively in the editing process. And a guy I met at a conference four years ago had me on a panel two years ago with a woman I just had teach at the writer’s retreat I mentioned earlier. I think I have finally learned what it means to network. What it really means is contributing to a community (Friedman addresses the concept of “literary citizenship” on pages 19-21). Listen. You never know where you’ll find the supporters of your success. I like to think of them as my people, because it’s not just that they’re supporting me, is it? We all support each other’s work, eventually. So keep your eyes open, sure, but also be cognizant that not everyone you meet will be a connection, or should be leveraged. It all works best when it happens naturally. Don’t be afraid to reach out for a deeper relationship. Some of my closest acquaintances—and friends–are people I met via Twitter first, and then in real life. (My mother still cannot get over this.) It is a remarkable time to be a writer—and a person in general. My life is richer for the people I have met via the Internet. Confidence in your own work and status can help in networking. When I went to Radcliffe, I think I probably wasn’t as confident as I would have liked to be. When you’re presented with a golden networking opportunity like the six weeks of that course, you want to be ready to take advantage of it, feel like you have something to contribute to the conversation. But don’t worry—opportunities do present themselves when you’re ready to take them on. Next time around we’ll tackle something little lighter: how much “luck” plays into publishing. Who do you see as being supporters of your success? Tell me in the comments below. I tell people that networking is giving. I really do think of it that way, and that helps me to see how it works. When you reach out to an author to tell them you like what they wrote, or when you tell your friends about the works you read and like, that’s giving/sharing. I don’t have to tell you this! You know it (literally) by heart.